Considered a suburb of the much larger City of Tucson, South Tucson is a separate municipality with a population of slightly more than 5,000 residents. South Tucson and Tucson are in southern Pima County, and South Tucson is often referred to as “The Pueblo Within a City.” Not surprisingly, the city is full of Mexican influences, including food, architecture, dress and culture. 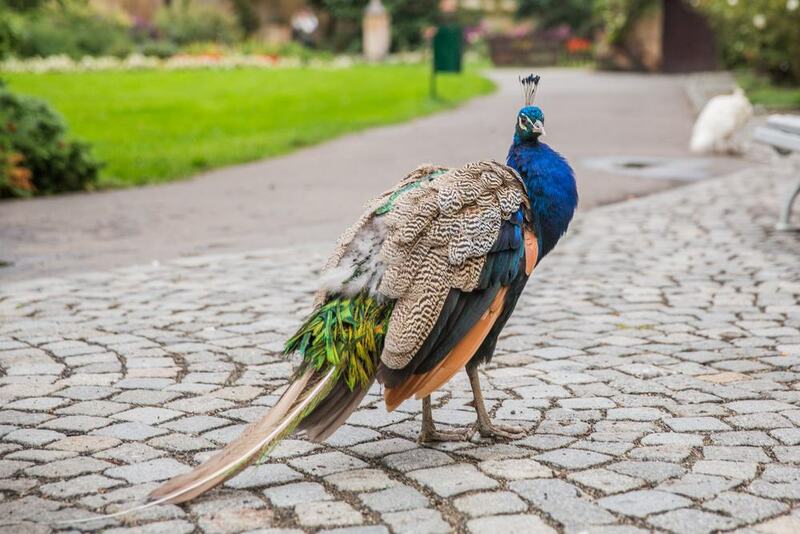 The nearby University of Arizona, many national and state parks and amazing historic sites make it a favorite destination, especially for history lovers, outdoor enthusiasts and those looking to escape the brutal winters in their home states. Below are 15 things to do in South Tucson. 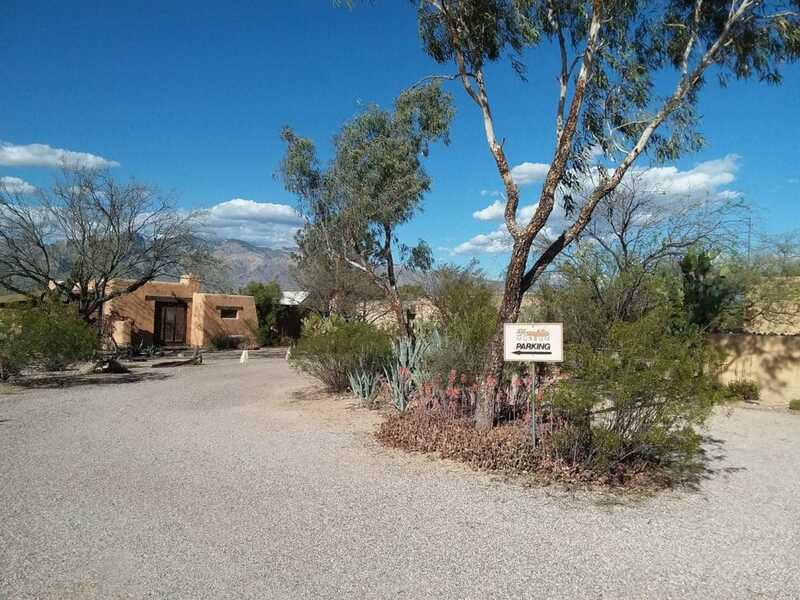 Consisting of nearly 100 acres and more than 200 species of animals, the Arizona-Sonora Desert Museum on North Kinney Road, Tucson is the go-to place to experience the natural habitat, plants and animals that call the great Sonoran Desert home. According to the museum, there are over 1,000 species of indigenous plants in the museum, or if you prefer animals, there are coyotes and even a mountain lion. Most of the museum is comprised of outdoor trails that require a bit of walking, so there are a few restaurants on site if you need to take a load off and refill that empty stomach. Hours are seasonal, and the admission fees are relatively inexpensive. 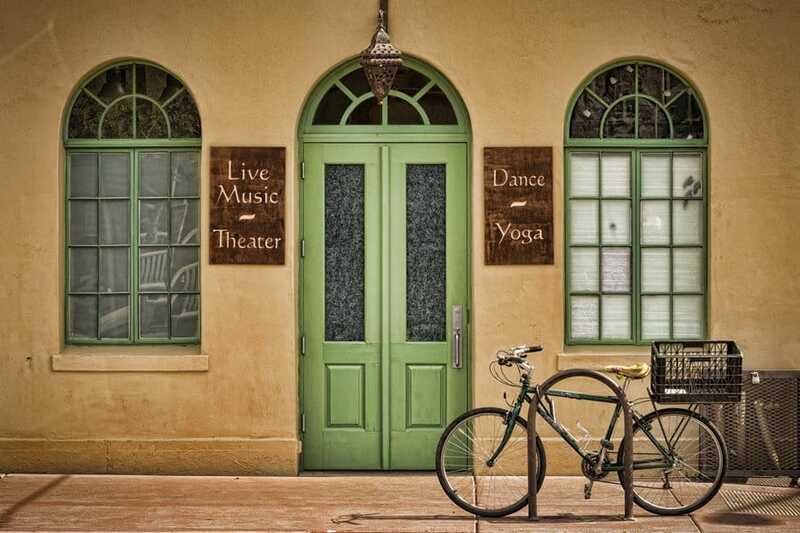 As college towns, Tucson and South Tucson are home to plenty of trendy and eclectic live music venues. 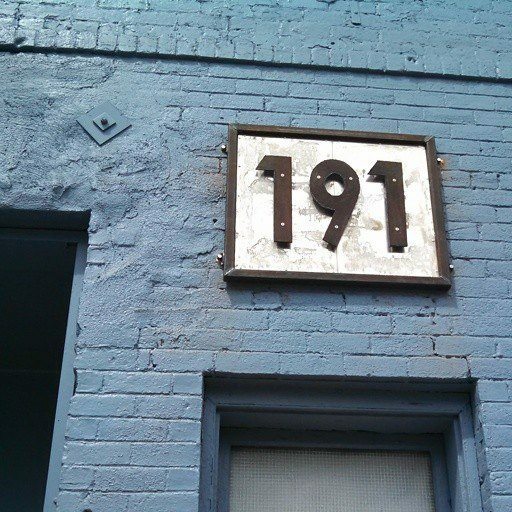 Perhaps the most popular is 191 Toole, named after its street address. According to their website they’re the 2nd-best live music venue in the country, though they don’t mention which is #1. With different performers from all over the place, their schedule is constantly changing, so check their calendar of events to see who’ll be playing when you’re in the area. The box office always opens an hour before show time, and parking can be difficult so arrive early if possible. Located on South 6th Ave in Tucson, the Children’s Museum is an excellent choice if you’re looking to escape from the sun’s brutal rays, have fun, and learn a few things too. Admission is inexpensive and the museum has an extensive collection of science-related exhibits and activities that will keep your little ones engaged and entertained. 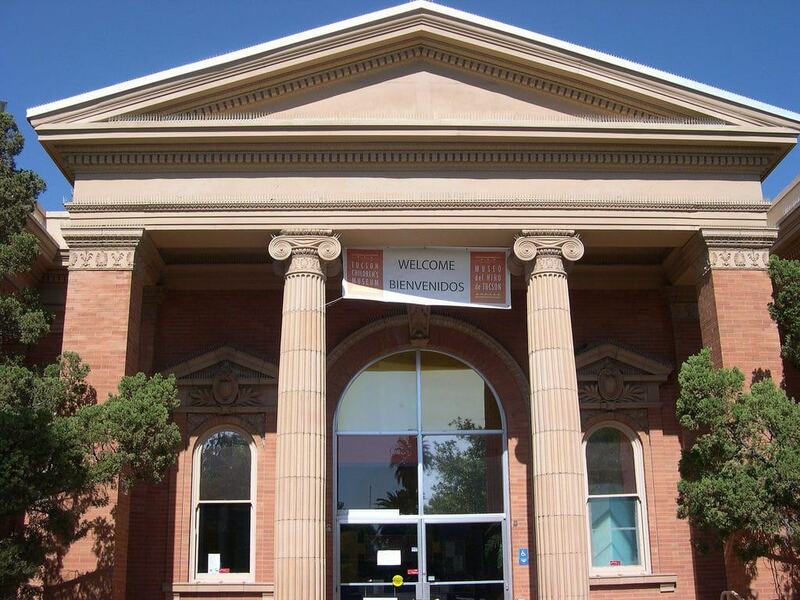 The Museum is inside the historic Carnegie Library, and guided tours are available. It’s a not-for-profit organization and is open every day except Monday. Children under a year old get in free of charge, so get out there and have some fun. 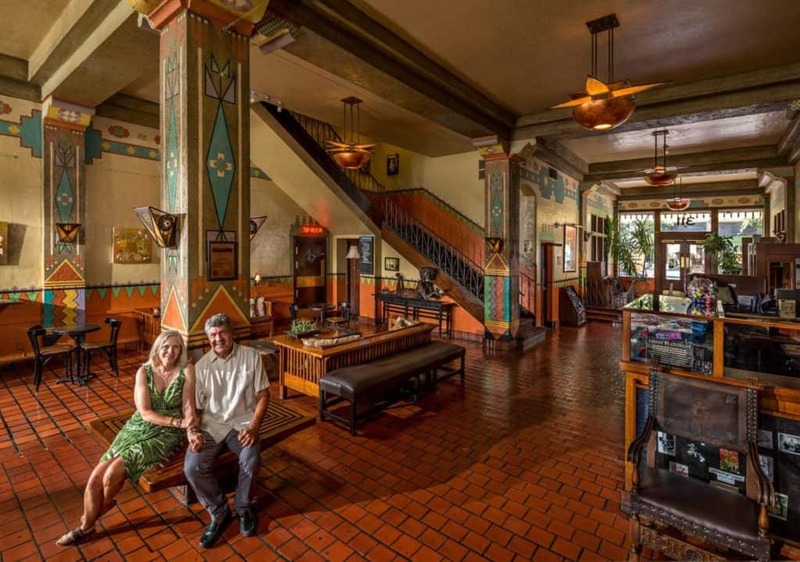 Located on Congress Street in Tucson, Hotel Congress has hosted the annual Dillinger Days weekend, and Dillinger Speakeasy for nearly 90 years. It’s a popular and iconic event you won’t find anywhere else, and includes yummy food, whiskey samplings, live music and lots of era-accurate dress and activities that’ll take you back in time to when Tucson was in the heart of the old west. Money earned from the event goes to the local fire companies, who often experience budget shortfalls. The event sells out quickly, and takes place during the 3rd week in January, so check online and get your tickets early. Much like its big-city neighbor to the north, Tucson offers a huge array of paths and trails that meander through the city and are open to bikers and walkers. As you may have guessed, much of the Santa Cruz path follows the Santa Cruz River, and has recently been completed, which means the north and south portions of the path are now connected. 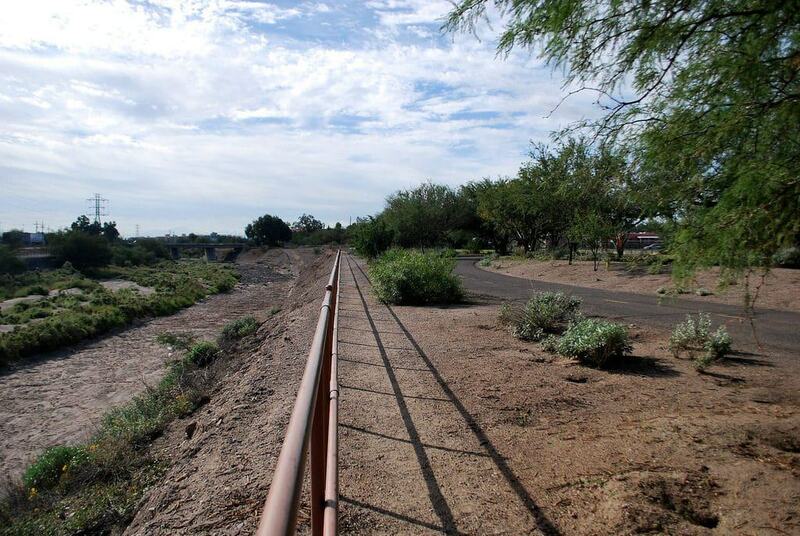 The Santa Cruz section of the path is in Tucson’s west, and is part of the nearly 60-mile loop that surrounds the city. There are multiple areas to pick up the trail that are well marked, and it’s free. Housed in a historic building that’s been around since the ‘30s, Sea of Glass Center for the Arts is one of those hidden gems you’ll be glad you found. It’s located on 4th Avenue, and the inside of the building has the massive, vaulted ceilings that were so common in decades past. From art shows to dance, contemporary music to classical, the venue has something on its schedule for everyone to enjoy, and its professional light and sound systems cover every inch of the theatre. The area has many bars and restaurants close by that are great places to stop for a drink or two before or after the show. 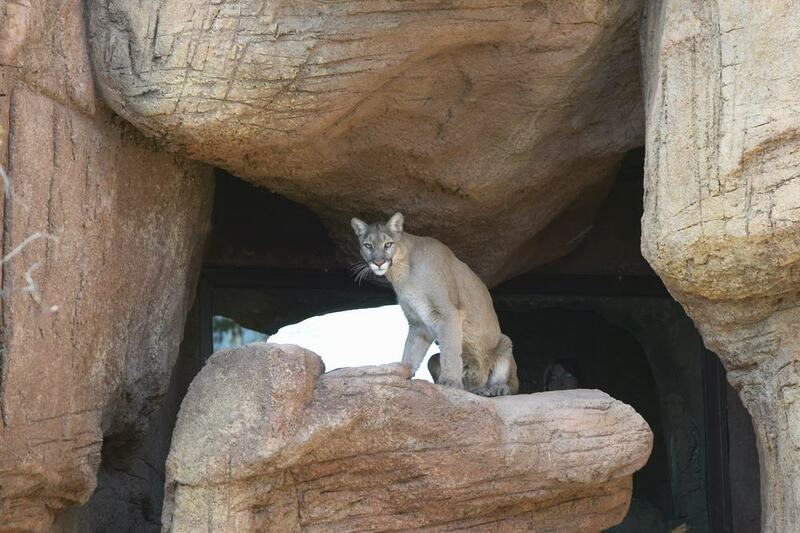 Owned and operated by the City of Tucson, Reid Park Zoo is full of fascinating animals from exotic locales, and professional staff to take care of them and tell visitors all about them. General admission to the zoo is pretty darn cheap, and it’s easy to spend 2 or 3 hours looking at all there is to see. Walking between exhibits can wear you out, so there are plenty of comfortable and shaded seating areas, which are great places to relax with a cool drink and make funny faces at the animals. The zoo also hosts special events, so you never know what you’ll find. The saguaro cactus is one of the great icons of the American southwest. Standing upwards of 40 feet tall, saguaros can live for hundreds of years and weigh thousands of pounds. One of the best places to see them in all their splendor is the nearly 100,000-acre Saguaro National Park, which is a protected area for these majestic desert denizens. There’s a visitor center at the park, which you’ll want to check out before you head into the desert, as the many trails that crisscross the area can be confusing if you’re not paying attention. Bring plenty of water and leave the open-toed shoes at home. Whether you’re a lover of classic cars or just an all-around history buff, the Franklin Auto Museum is one of those places you shouldn’t miss on your visit to South Tucson. The museum is just a few miles from Tucson, and it focuses on cars manufactured by the Franklin Automobile Company, which is a little-known carmaker that produced cars for 30 years at the beginning of the 20th century. The exhibits include actual cars, photos and original product and sales literature, which are interesting tidbits from the past. The museum closes in the summer, so check their schedule online before you go. 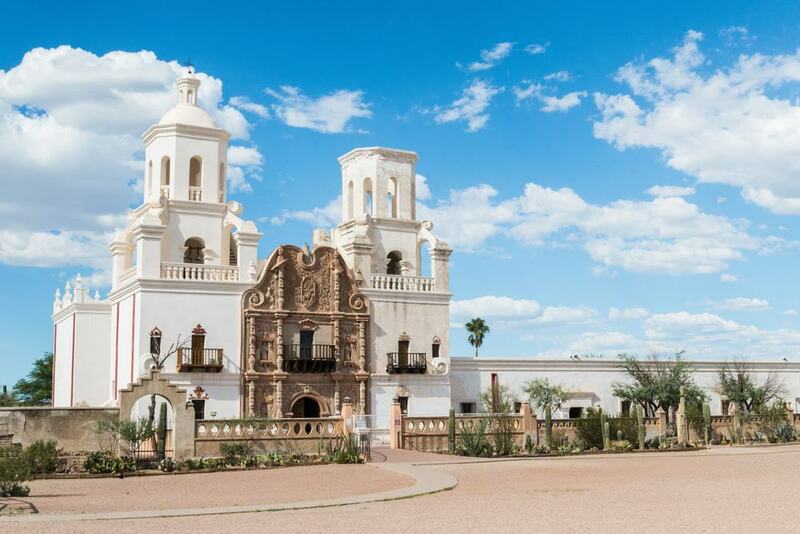 Known as the White Dove of the Desert, the Mission San Xavier Del Bac is a wonderfully out of place Roman Catholic Church in the Sonoran Desert, near Tucson International Airport. With elements of Spanish, Mexican and renaissance architecture, it makes a wonderful contrast to the stark desert and blue skies that surround it. Masses are held weekly if you’d like to attend one, or if you’d just rather poke around a bit, the museum and gift shop are open most days. The mission is free to see, though they’re always happy to accept donations, which will help them preserve this wonderful church. If like me you never would have guessed that Tucson is home to one of the world’s foremost museums dedicated to all things miniature, then you’d be wrong. 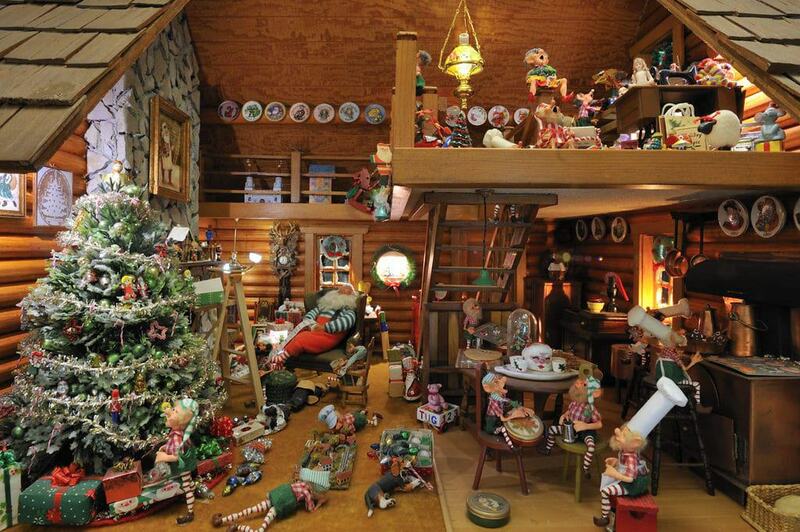 Founded by a husband and wife who shared a love for miniatures in the ‘30s, their first collectible was a set of scaled-down furniture that was used to adorn dollhouses. The museum didn’t open until decades later however, when they began to collect pieces specifically for the museum they’d been dreaming of opening. The museum strives to present hands-on and interactive experiences for visitors, and due to its uniqueness, much of what you’ll see is one of a kind. 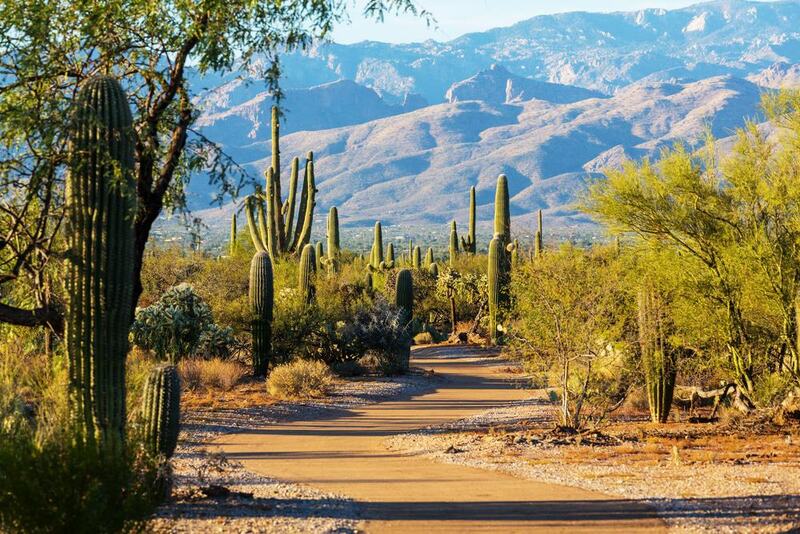 Though the Sonoran Desert is an unimaginably huge expanse of arid and unforgiving land that runs from Arizona into Mexico, it’s home to an amazingly diverse array of plants, trees and cacti that most visitors find beautiful and amazing. 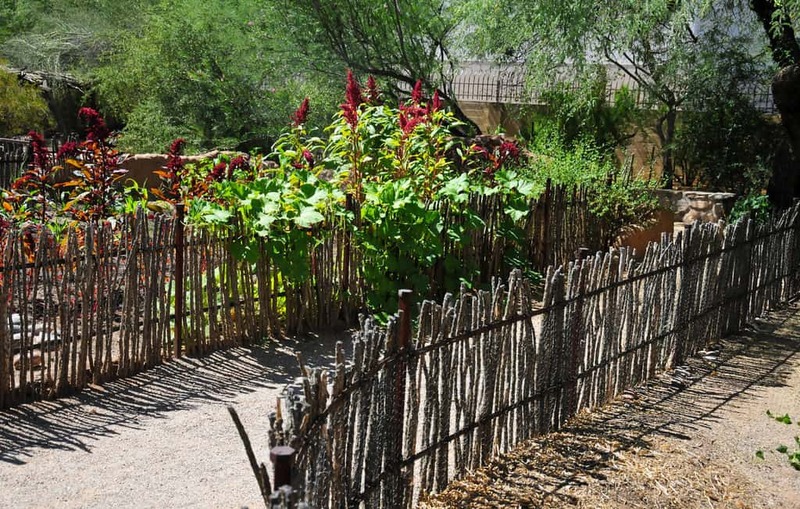 The paths through the Tucson Botanical gardens are chock full of flora that also draw lots of desert wildlife such as hummingbirds and desert tortoises. The gardens feature a children’s discovery area, and even a tiny city replica with electric trains. The museum is closed for part of the year, so make sure they’ll be open when you plan on being in the area. 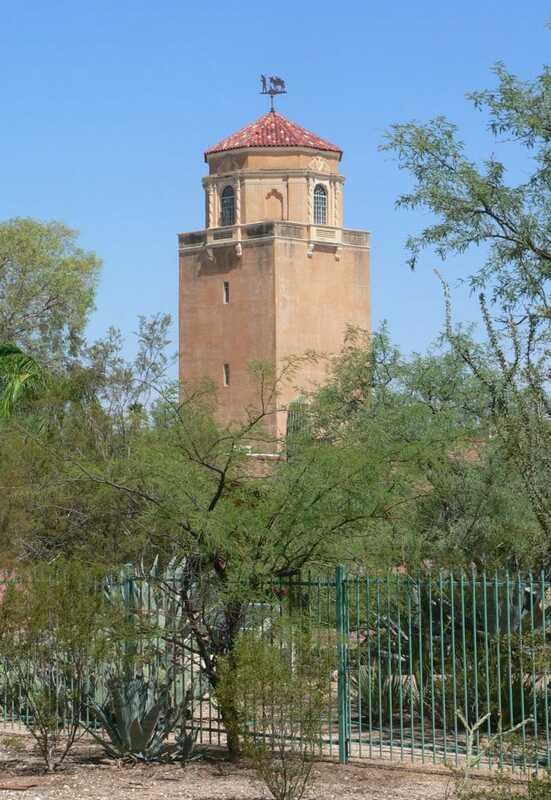 Tucson’s El Conquistador Water Tower looks like something you’d likely find in medieval Spain or a Moorish desert. The quirky Tucson icon is near Broadway and Randolph Streets, and was part of a hotel that went by the same name that was one of Tucson’s swankiest back in the ‘30s. The hotel and water tower were designed by a local architect, and construction was completed in the late ‘20s. In addition to its mesmerizing and stalwart design, the water tower is famous for the metal weather vane on its peak that features an old prospector riding a mule. The hotel no longer exists, but the water tower is free to visit. 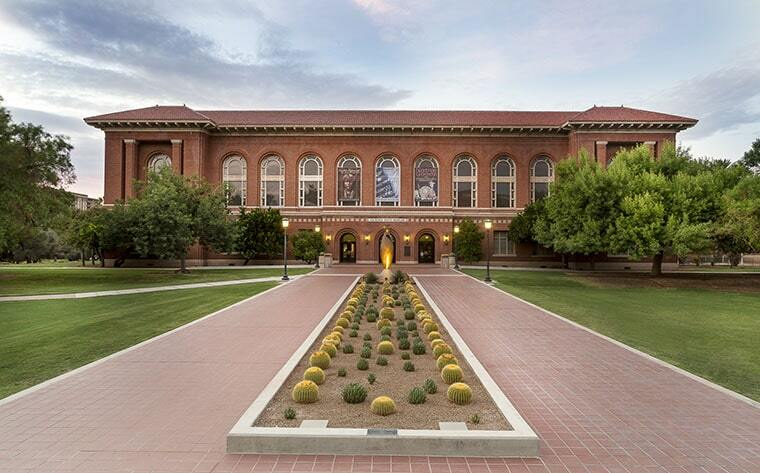 Located on the beautiful campus of the University of Arizona, The Arizona State Museum is a unique collection of exhibits and artifacts all relating the rich history of the region, much of which goes back to its days as a territory before it officially became a state. The admission is cheaper than a burger and fries, and the museum is a great place to spend an hour two out of the sun in some wonderfully cool air conditioning. Many of the exhibits relate to the various Native American tribes that are indigenous to the area, and include baskets, blankets and pottery, all of which are unique to the tribes that made them. At just a tick under 3 miles, the Tumamoc Hill Trail is easily accessible from downtown Tucson and is only moderately difficult. Most of the trail is paved and suitable for young children, though due to the harsh Tucson summers, is best visited from October to March or May. Due to its location on university land, it’s even open at night, and is a great place to watch the sunset from an elevated vantage point that includes great views of the city below. The trails are free to use, and there is sufficient parking at the public parking garages near the university.